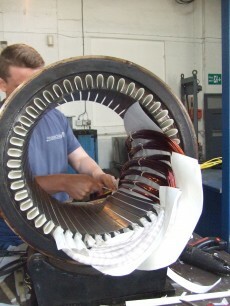 AC Motor repairs and rewinds are the principle M&E services we specialise in here at Mawdsleys. Furthermore, we understand that when any AC Motor failure occurs, it can have a serious impact on both yours and your customers businesses. Our skilled and qualified M&E Engineers have many years’ experience working with all different types and sizes of AC motors. We can repair, refurbish and rewind your AC Motor within an agreed lead time – ensuring minimal disruption. With a network of couriers at our disposal, we can collect or you can deliver to our Motor Repair Facility based in the South West. Your AC motor is given full traceability as part of our ISO 9001:2008 Accreditation. A full mechanical and electrical inspection is carried out, with results recorded highlighting the required scope of repair to your AC motor. The AC Motor winding is checked for faults, resistance, and insulation quality. 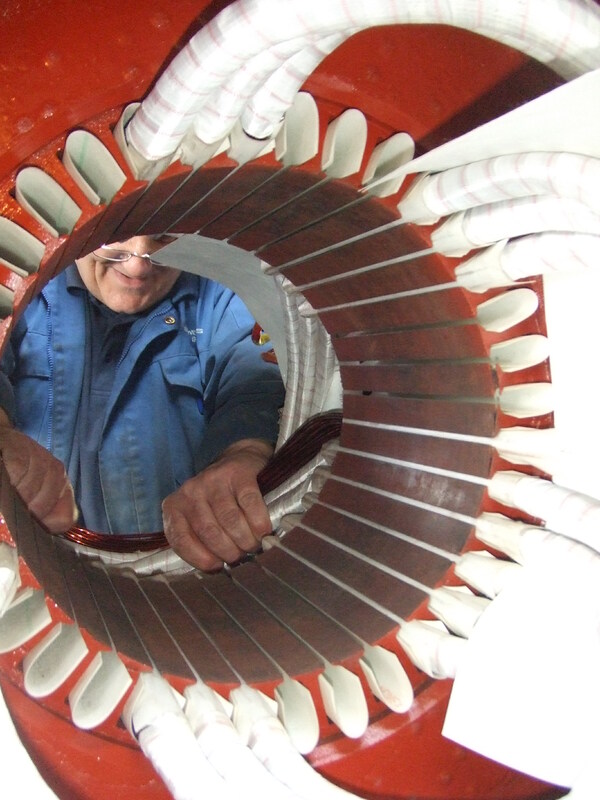 If a fault is found in the stator, it is then rewound to the exact specification using high grade enameled copper wire and impregnated to the correct class of insulating varnish. The rotor is then checked for condition and balance. Mechanically, the motor dimensions and tolerances are confirmed. 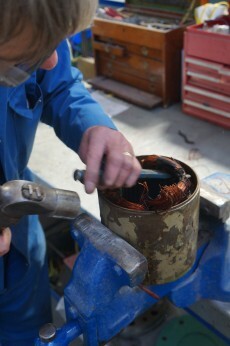 On re-assembly, the AC motor is fitted with new parts including new bearings, seals, O-rings and gaskets. The repaired AC Motor under goes a full static and dynamic test to confirm that the repaired AC motor is mechanically and electrically to specification. Our workshop has all of the facilities required to test and repair many types of AC motors including Commercial, Naval grade and Custom design. Working with a varied client base, ranging from small private firms to major blue chip companies, we know how important delivering quality work to a set budget and agreed lead time is. Whatever the nature of your AC Motor repair, our extensive experience and state of the art equipment, guarantees quality of repair. From Rail Services to the Marine Industry, our knowledge covers a variety of sectors. We offer our M&E Services to Local Businesses in the South West, for example, Bristol, Cardiff, Newport, Swansea, Taunton, Yeovil and Exeter. We also offer our services on a National and International basis. To find out how we can help with your AC Motor Repair, please contact us on 0117 9552481 or alternatively you can fill in our Contact us form.